Christmas is around the corner but don’t forget that Jesus was actually born on Christmas Day. It’s not all about Santa, Mrs. Claus, elves, rudolf the red nose reindeer and Christmas trees. Kids these days seem to forget the meaning of Christmas and only expect presents. Jesus was born in a manger to Saint Joseph and Virgin Mary. His guests when he was born were shepherds, and 3 wisemen. Find Christmas Biblical costume ideas for adults. 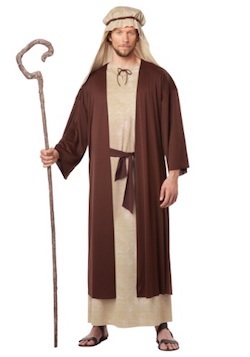 Saint Joseph costume includes a tan robe, brown overcoat is attached to a robe and ties around the waist in front. The headpiece is stretchy and ties around the head. Virgin Mary costume includes everything you will need to totally transform into this important biblical character. The dress and headpiece are printed to appear as woven fabric, while the included blue belt ties around the waist to complete the classic look. As Mary, you can help spread the good news about the birth of a savior! 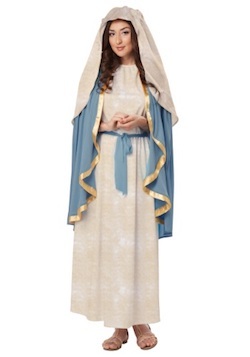 Click here to get the Christmas Biblical costume for adults – Virgin Mary. Click here to get the Christmas Biblical costume for adults – Angel costume. 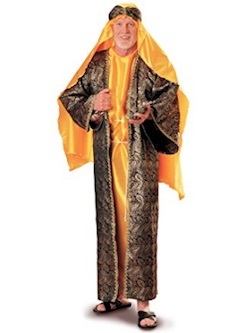 Melchior Wiseman biblical costume includes satin and metallic brocade headpiece and robe with attached belt and cord. 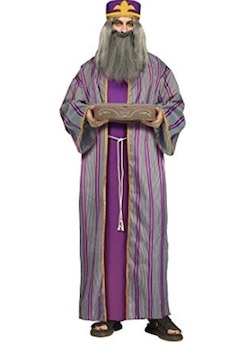 Click here to get Christmas Biblical costume for adults – wiseman costume. 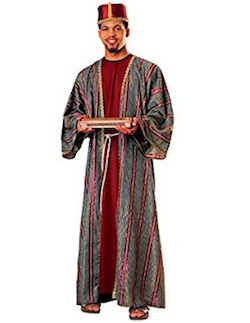 Balthazar Wiseman Biblical costume includes tasseled hat and striped metallic robe with attached cord belt, both with gold braid trim. Made of polyester brushed knit flannel and accented with faux fur and felt, you’ll hop into a comfy brownish tan jumpsuit with a sewn-on tail and furry hump. The hood can be stuffed for a shapely camel head and don’t forget your black felt hooves on your mitts and shoe covers! 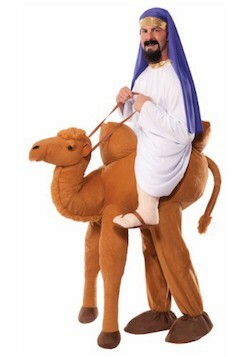 Click here to get Christmas Biblical costume for adults – camel costume. Much like seeing an oasis in the middle of the desert, the whole thing is built on an illusion: Your legs go into the camel’s hind legs, and the camel’s front legs and the “rider’s” legs are stuffed! It’s also got elastic shoulder straps hold the bull’s body in place. Get yourself a robe and headdress (the ones shown here are not included) and you’ll be ready to lead your caravan right into costume party paradise! 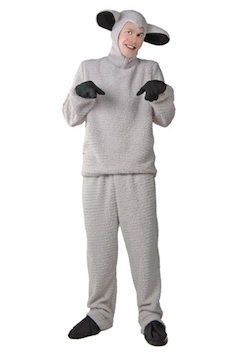 Whatever style of sheep you decide to be, this costume will give you a soft and fun starting point. The faux fleece body looks as woolly as the real thing, and the big floppy ears are sheepishly charming. 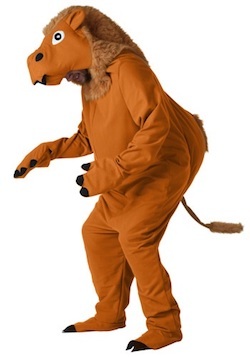 We also make this costume in children and toddler sizes, so your whole family can flock together as a group costume! 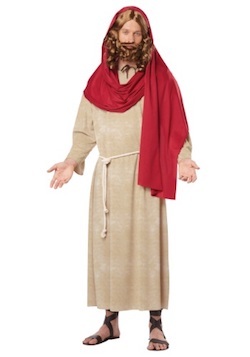 Click here to get Christmas Biblical costume for adults – lamb costume.